Left unread, any agreement may expose a party to significant risk. Frequently, Information Technology (IT) applications do just that and do not read the terms and conditions they agree to. Furthermore, many creators of intellectual property in the form of software do not structure their agreements correctly with their distributors or users, providing Lip Service to the business model to protect their own rights let alone their customer’s rights. Carefully drafted software agreements may provide a protection and certainty that can be relied on by all parties. Developers and Users should ensure that they are familiar with all relevant issues in terms of their software agreements. 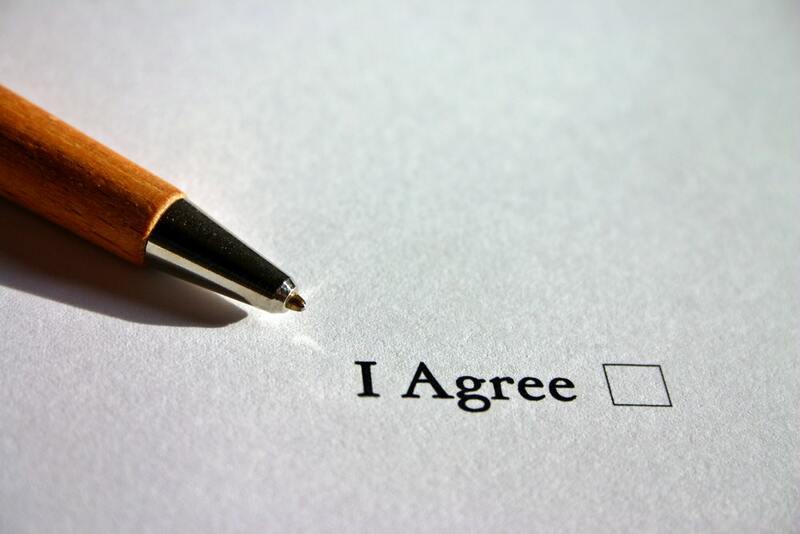 What follows is an overview of Software Agreements. There is considerable difference between a software license and a software-as-a-service agreement (SaaS). The business model concepts are very different. In a software licensing model, the software entity offers a physical piece of software via CD-ROM or electronic download from a website to be downloaded, installed, run, and operated on a piece of hardware that is typically physically on site at a particular company or residential location. There may be one user or multiple users of the software. The software may be installed on a single piece of hardware or multiple pieces of hardware. There may be services associated with the software that are offered to the licensee such as implementation, customization, training, maintenance, and technical support. In some cases, the software entity may even offer separate hosting services. However, the software itself is made available to the licensee as a tangible product. SaaS as a business model is different. In the SaaS model, the software entity does not make available tangible software product available to its users. The product itself is only available “on the cloud” as a hosted platform. As in the licensing model, there may be one user or multiple users of the platform. But the service itself is only accessible through the cloud. The quality of the services provided is critical because the ability to access and use the hosted platform is entirely dependent on the quality of the experience delivered. In the SaaS model, there is no separate maintenance service provided because that may be included as part of the hosted platform service package, along with the hosting and technical support. You may still have separate implementation, customization, and training services. However, they may be made available separately from the hosted platform. The key feature of this model is that you are offering a “service” model rather than a “tangible product” model. Open source software refers to the open availability of source codes. “Source code” is the part of software that most users don’t ever see; It’s the code developers who can manipulate it to change how a piece of software—a “program” or “application”—works. Developers who have access to a program’s source code can improve that program by adding features to it or fixing parts that don’t always work correctly. Some software has source code that only the person, team, or organization who created it (and maintains exclusive control over it) can modify. People call this kind of software “proprietary” or “closed source” software. As they do with proprietary software, users must accept the terms of a license when they use open source software (but the legal terms of open source licenses differ dramatically from those of proprietary licenses). Open source licenses affect the way people can use, study, modify, and distribute software. In general, open source licenses grant computer users permission to use open source software for any purpose they wish. Some open source licenses (what some people call “copyleft” licenses) stipulate that anyone who releases a modified open source program must also release the source code for that program alongside it. Moreover, some open source licenses stipulate that anyone who alters and shares a program with others must also share that program’s source code without charging a licensing fee for it. By design, open source software licenses promote collaboration and sharing because they permit other people to make modifications to source code and incorporate those changes into their own projects. They encourage software developers to access, view, and modify open source software whenever they like, as long as they let others do the same when they share their work. Many people prefer open source software because they have more control over that kind of software. They can examine the code to make sure it’s not doing anything they don’t want it to do, and they can change parts of it they don’t like. Users who aren’t programmers also benefit from open source software, because they can use this software for any purpose they wish (not merely the way someone else thinks they should). Open source software may help developers become better. Given open source code is publicly accessible, participants can easily learn to make better software. Students can also share their work with others, inviting comment and critique, as they develop their skills. When mistakes are discovered in programs’ source code, they can share those mistakes with others to help them avoid making those same mistakes themselves. Security. Some prefer open source software as it is considered more secure and stable than proprietary software. Because anyone can view and modify open source software, someone might spot and correct errors or omissions that a program’s original authors might have missed. And because so many programmers can work on a piece of open source software without asking for permission from original authors, they can fix, update, and upgrade open source software more quickly than they can proprietary software. A common misconception about what “open source” implies and the concept’s implications are not only economic. Open source software developers may charge fees for the open source software they create or to which they contribute. But in some cases, because an open source license might require them to release their source code when they sell software to others, some developers find that charging users money for software services and support (rather than for the software itself) is more lucrative. This way, their software remains free, and they make a profit helping others install, use, and troubleshoot it. While some open source software may be free, skill in programming and troubleshooting open source software can be quite valuable. Many employers specifically seek to hire programmers with experience working on open source software. That is to say software with a source code that anyone can inspect, modify or enhance. Like closed source licenses, the terms and conditions of open source licenses are often heavily’ negotiated by licensors and licensees alike. Furthermore, like closed source, open source is proving to be a highly litigious area. In this respect, see the US case of SCO v IBM. Licensors and licensees should ensure they are familiar with the concepts involved and requirements. The value of the intellectual property in a source code may result in the licensor seeking to protect the source code and provide only the executable object code versions of the software to its licensees. However, this may expose the licensee to significant risk, especially where the software becomes an integral arid vital component of the licensees business. If the licenser goes into liquidation or loses the source code in a systems failure or natural disaster, will the licensee’s business be able to continue to function? For these reasons software is often placed into escrow facilities and only released to the licensee on the triggering of certain specified events. Large Software License Agreements (SLAs) such as those concerned with enterprise resource planning (ERP) and other significant installations are rarely executed without support, maintenance and service agreements being put in place. Entities that require such software, whether open or closed source regardless of the license fee, will no doubt require robust ancillary IT contracts that enable and ensure that the software can be fully incorporated and maintained by the relevant organisation. Software Agreements require consideration, review and assessment of warranties, payment, intellectual property rights, identification, clarification, permitted usage, service and dispute resolution. It is important for you to ensure that the content of your IT contract accurately reflects your intentions, is understood and provides you with the level of protection that you require either as the Licensor, Licensee or User of the software. Privacy Lawyers Sydney at Pavuk Legal can provide you with detailed contracts and transaction review and legal advice in relation to drafting and negotiating software agreements, license agreements, site and specific user agreements and licenses, website terms and conditions, and advise on privacy, data protection and cyber-related legal and commercial issues.